Don’t let the word Clafoutis scare you off. This dessert is so simple to make, anyone can do it in no time. The beauty of this is that you can make the batter in a blender, like making a pancake or crepes batter. Oh, and there’s Rum in it, as a bonus. 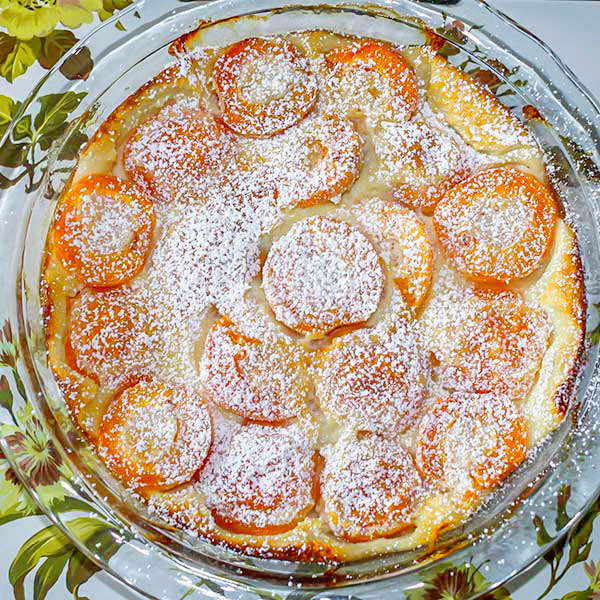 Clafoutis is a French dessert and traditionally made with black cherries, but I chose apricots for mine because I like to experiment and… I like them better. The end result was, simply amazing and I had to share my recipe with everybody. For the batter, blend all those ingredients together, then pour it over the apricots. The batter is going to be very thin, don’t get tempted to add more flour. Bake the Clafoutis for about 45 minutes to an hour at 350° F / 177° C. Let the Clafoutis cool for a few minutes then dust with some powdered sugar. This dessert is so light and delicious, you will absolutely love it. 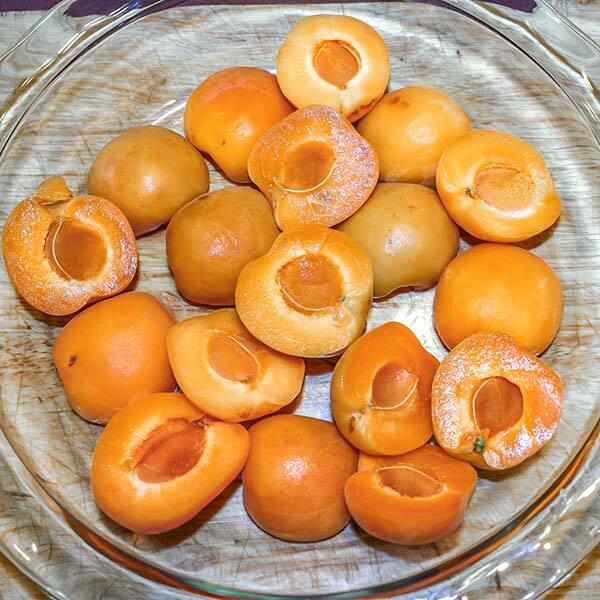 Cut the apricots in half and remove their pits. Place the apricot halves on the bottom of a pie dish. In a blender add the flour, sugar, rum, vanilla extract, lemon zest, eggs, salt and heavy cream. Blend everything together so that it makes a nice thin batter. 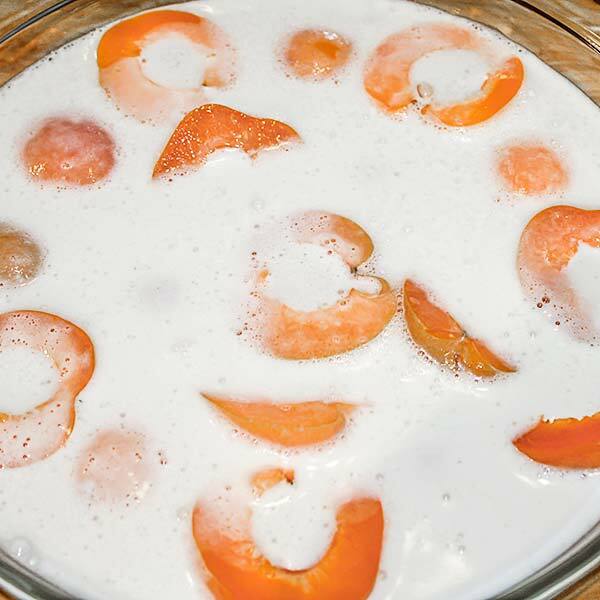 Pour the clafoutis batter over the apricots. Bake for about 45 minutes until the center is set.